Six long-range bombers took off from Russia and carried out successful airstrikes against Islamic State targets near the Syrian city of Palmyra, the Russian Defense Ministry has said. “On August 8, 2016, six Tu-22M3 long-range bombers, coming from Russian territory, performed a concentrated airstrike with high-explosive ammunition against the facilities of Islamic State [IS, formerly ISIS/ISIL] in areas east and northwest of Palmyra, near the settlements of Es Sukhne and Arak,” the ministry said in a statement. According to the ministry, a control center and large terrorist training camp were destroyed in the bombardment near Es Sukhne. "In the area surrounding Palmyra and Arak, control centers, underground storage of ammunition and weaponry, three infantry fighting vehicles, 12 off-road vehicles with heavy machine guns and a large number of enemy personnel were destroyed," the Defense Ministry said. 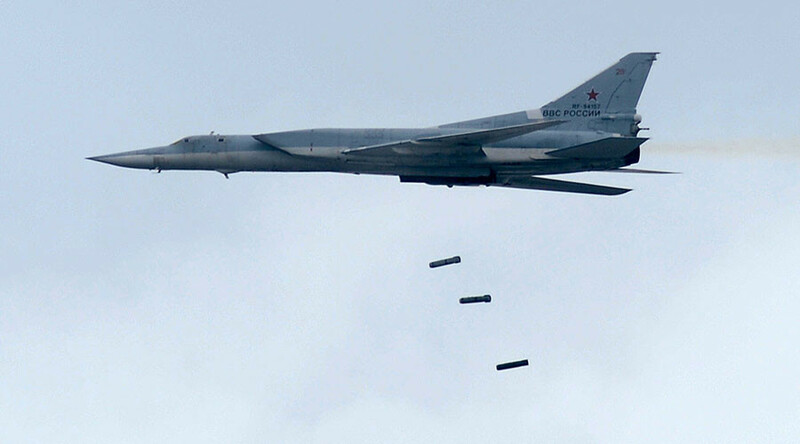 The Russian bombers successfully returned to base after executing their combat mission. Russia has been carrying out airstrikes against Islamic State, Al-Nusra Front and other terrorist groups since September 30, 2015, at the request of Syrian President Bashar Assad. The long-range bombers joined the campaign in November last year after an IS-claimed terrorist attack led to the downing of a Russian A321 passenger jet over the Sinai Peninsula, Egypt.